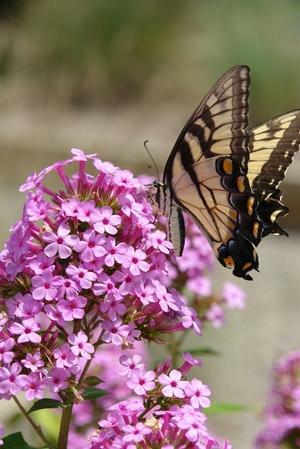 A fellow plant nerd has brought this phlox to our attention for the sake of the pollinators. Tiny pink flowers are densely packed and tiered in their umbels with a long extended summer bloom time. Excellent resistance to powdery mildew. Besides the charming flowers and disease resistance this fragrant phlox is irresistible to pollinators.